In every age, God has blessed His church by raising up gifted individuals to serve in unique and effective ways. Surely, one of the most greatly used individuals of recent years was the late Vance Houston Havner. Through a preaching and writing ministry that spanned over 70 years, Vance Havner spoke forth the truth of God’s Word in a most effectual manner. A testimony to his lasting influence is seen in the frequent quoting of Dr. Havner by Christian writers and speakers everywhere. To this day, many a sermon, book, or magazine article will open with a “Havner-ism,” when the author wishes to arrest his audience’s attention in a positive way. The influential ministry was a result of an intimate walk with Christ, and serves as a lesson for believers today. Vance Havner was born October 17, 1901, in the Western North Carolina locality of Jugtown. Though his ministry eventually took him to major cities throughout America, Dr. Havner maintained a love for the quiet and simple ways of his more rural past. His academic experience began at Hog Hill, Jugtown’s schoolhouse. Later, he attended schools such as South Fork Institution, and Boiling Springs High School, which later became Garner-Webb College. He also attended Catawba College, Wake Forest University, and Moody Bible Institute. Dr. Havner’s first pastorate was at the Salem Baptist Church in Weeksville, NC. While serving at Salem Baptist Church, the first of his 38 books was published, By the Still Waters. 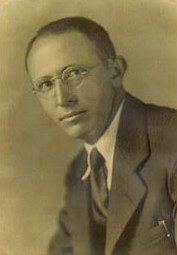 In 1934, Havner went to Charleston, SC to serve as pastor of the First Baptist Church. Later, he was called to an itinerant ministry of evangelism and conference speaking, and it was in this capacity that his greatest contributions were made. Havner’s reputation grew as he traveled and spoke in increasingly larger circles. His influence extended to a national level, but Dr. Havner’s approach was always to minister where God directed, regardless of the size of the church. His appeal and influence transcended denominational lines, and he spoke to many different groups of people. 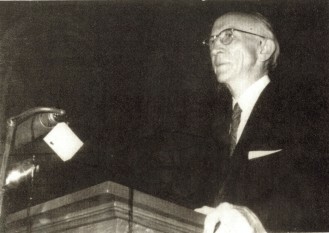 In addition to preaching in many of America’s most influential churches, Dr. Havner was a highly sought speaker for conferences at places such as Moody Bible Institute in Chicago. He frequently spoke at both state and national meetings of the Southern Baptist Convention. 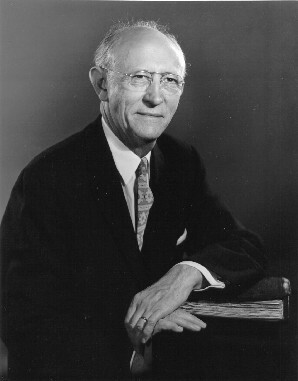 Dr. Havner delivered chapel messages and baccalaureate sermons at colleges such as the Citadel, Columbia Bible College (now Columbia International University), Liberty University, Southeastern Baptist Seminary, and Garner-Webb College. While speaking at Florida Bible Institute in 1939, Vance Havner met Sara Allred, whom he married in 1940. She was a dedicated Christian, and faithful helper with her husband’s ministry. For thirty-three years, Dr. and Mrs. Havner traveled to many meetings together, and their labor yielded much fruit. For over 70 years, the church was blessed and challenged by the ministry of Vance Havner. For the past 29 years, the church has been strengthened by the scholarship ministry which bears Dr. Havner’s name. The Vance H. Havner Scholarship Fund Inc., and the students who receive scholarships, all share Dr. Havner’s high standards of sound doctrine and loyalty to the local church. Through the scholarship fund, dedicated laborers are prepared for the work and sent out, intent on fulfilling Christ’s Great Commission. Though Dr. Havner died in 1986, his influence for Christ continues. His ministry is a testimony to the way in which God can use one surrendered life to touch countless other lives. Those persons whose support makes the Scholarship Fund possible are doing the same, by helping surrendered servants to go forth in Jesus’ name.